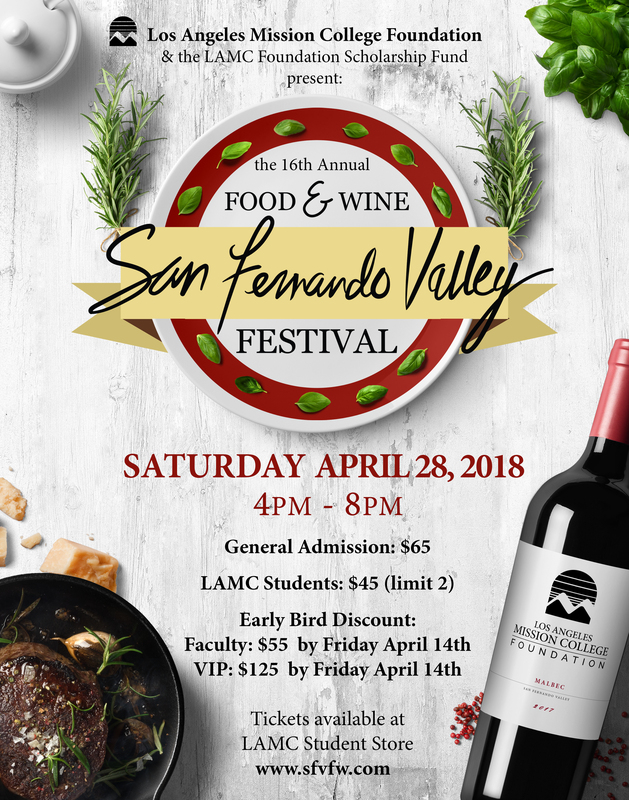 Make your plans to join us for the San Fernando Valley Food & Wine Festival on Saturday, April 28 at the Culinary Arts Institute. Students pay just $45 at the Eagles' Landing Student Store. Early Bird Special for Faculty and VIP starting at $55. For more information visit www.sfvfw.com.